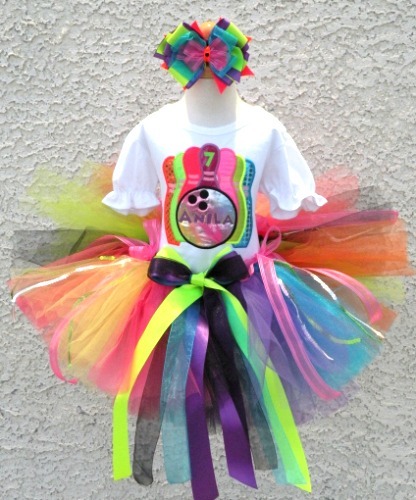 Can we just say how much we absolutley love our newest bowling tutu set and we just know that your little angel will love it too! 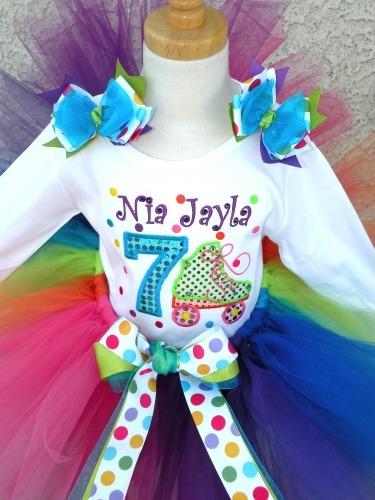 This fun bowling tutu set is deigned in bright colors and long ribbons on the skirt. 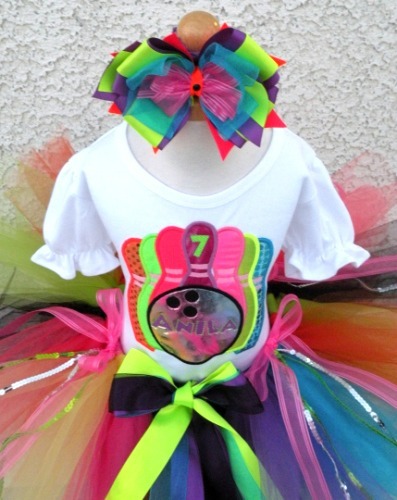 It's perfect for bowling themed occasions. It can be designed with her name on it and age or just the bowling ball and pins. Making it the perfect outfit for her to stand out on her birthday or special occasion.